My son has always been a big fan of the Clangers. 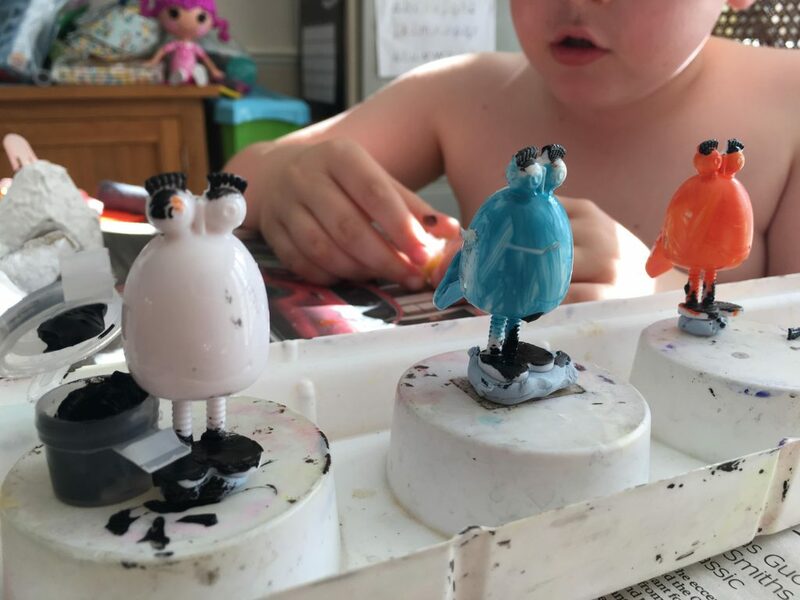 He’s lucky to have a subscription to the Clangers magazine and the latest cover gift was a set of the Froglets to paint. Perfect! 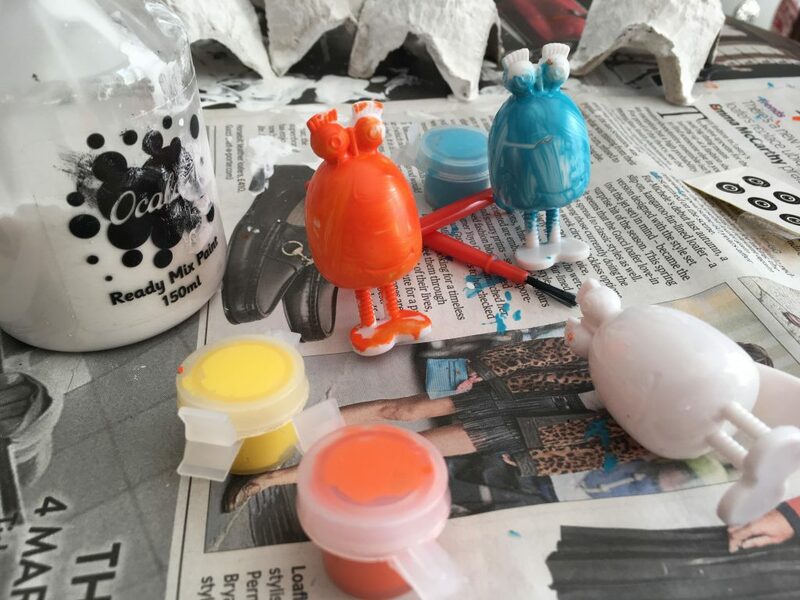 They were quite small so we put blu tack underneath and struck them to a paint tray, this made them slightly easier to paint.